Your upcoming movie The Laughing Mask - in a few words, what is it about? 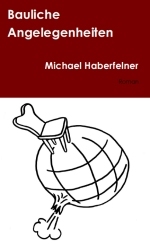 The Laughing Mask is about revenge plain and simple. 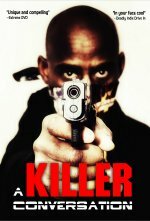 Both Jake Johnson and Detective Kate O�Malley have reasons to hunt him down. What were your inspirations when writing The Laughing Mask? I love everything pulp. From the atmosphere to the characters, I�d say The Laughing Mask has a lot of pulp elements into it along with old school horror films. There is a nice nod to The Shadow in there as well but you will have to see it. The Laughing Mask seems to feature strong slasher elements - a genre at all dear to you? Absolutely, before it got generalized and diluted of course. The original Friday the 13th, Halloween and others have a pure horror quality to it that I love. 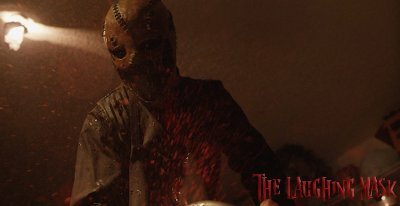 The Laughing Mask's story suggests quite a bit of blood and guts - so what can you tell us about that aspect of your film, and anything you can tell us about your gore effects? I wanted the effects to be practical wherever possible. When I watch movies like 300: Rise of an Empire for example, the amount of CGI blood used is ridiculous and it takes away from the experience in my opinion. We owe a lot to Daniel Mazikowski�s demented mind in coming up with the more practical ways to make our vision come to life, no matter how disgusting or crazy (sometimes with no preparation time as our previous FX person quit a few days before the shoot), and boy he didn�t disappoint. Do talk about the film's style and feel for a bit, and what can you tell us about your approach to horror? The Laughing Mask is an old school horror movie. And by that I mean bare bones, no CGI, good story, great scares. It's expected nowadays from �slasher� films to be thin in story and overcompensate on blood and gore, I think the fans want more than that. It�s easy to throw naked girls in swamp with a maniac running after them and call it a movie. I wanted to give the genre fans more. Jeff Jenkins, the actor who plays The Laughing Mask, is a tremendous performer and the movie owes him all the character�s mannerisms. He brings The Laughing Mask to life in a way I couldn�t see anyone else doing it, in masked killer type movies you see lots of people wearing the mask in different parts of the production, in ours it was impossible because nobody could match Jeff�s portrayal. John Hardy as Jake Johnson brings intensity and preparation. John got the part as soon as he walked into the audition, even before he said anything we said �yup that�s Jake�. On set nothing but professionalism and when we envisioned Jake physically as a character we wanted someone exactly like John. Sheyenne Rivers was the inspiration FOR Kate before there was even a script. I contacted her about being a part o the film long before there was a finished first draft and Kate O�Malley, looks and attitude are all Sheyenne. 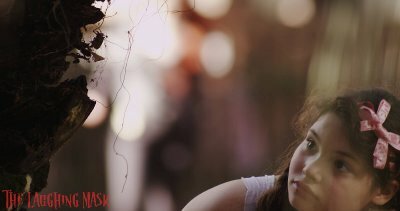 She is a rare talent, a sweetheart to work with and a trooper, we put this poor girl through a LOT in this film, she is kinda like our John McClane. Our set was always light and fun (for most parts), the most important part for me, after funding was in place, was to get the best crew around and for that I went to the very best with DP William Schweikert. Talk about a professional, no matter what crazy shot we had in mind, Bill was always on point and ready to go even on long 18 hour days. My AD Kyle Fritsche kept the shoot on schedule for the entire 28 days, something unheard of, and without script supervisor Christine Hitt we would�ve been lost entirely. Having a superb crew makes it for quality product in my opinion. The $64-question of course, when and where will the film be released onto the general public, however tentatively? 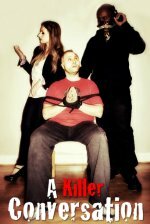 We�re aiming for a limited theatrical release by Halloween. 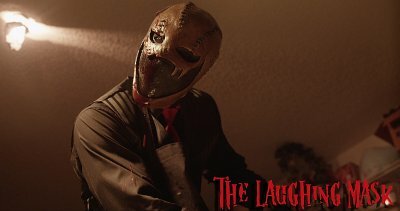 Masked killers tend to return onto the screen again and again - so will there ever be a The Laughing Mask 2? And any (other) future projects you'd like to talk about? It�s entirely up to the reception we got. Bravestarr Films is definitely invested into making more, but as with everything else it depends on reception. We have a great story for a sequel that we believe people would love! I wanted to make the movies I wanted to watch. I went to the FIRST school in Orlando to get the basics and my background was mostly in writing, but I took the advice I read from Joss Whedon when he was trying to get Buffy off the ground and created the project and hired myself to direct. What can you tell us about your filmwork prior to The Laughing Mask? I was really proud to do a small webseries called The Quest Chronicles with David Lopez. It was something fun, loose, with not a lot of pressure behind it, something we did for fun and got quite the following including a packed crowd watching the first episode at Megacon a few years back. After that the original Laughing Mask trailer started getting a lot of attention and I concentrated on my script and getting this project off the ground. As far as I know before going into films, you wrote a novel and worked on several comicbooks - so what can you tell us about these aspects of your career, and how did they prepare you for your filmwork? 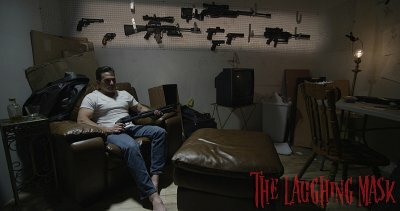 Writing novels and comics is kinda like directing a movie without the restraints of budget, so it really helped me developing my creativity but in some ways was also detrimental, when I wrote the first draft of The Laughing Mask, I had the same frame of mind and ended up with a film that would�ve cost about 10 million Dollars to make. My book The Chronicles of Percyval is still a dream project. I just want everyone to have fun and do the best project we can possibly do. I'm very easy going. Alan Parker, Wes Craven, John Boorman. From the newer crop, James Wan is amazing, Alexander Aja. Excalibur, Angel Heart, I really like the classics. The newer ones I'd say Conjuring was fantastically done. Oh so many - I try my best to find redeeming quality on all films, some the story might be bad but the acting is good so on, but when I see movies like Paul Blart Mall Cop breaking box office records, a part of me dies inside. Yes a big Thanks to Ana Aguiar for making the original mask, and Kevin at Wolfram Creative LLC for doing a superb job with the mask.